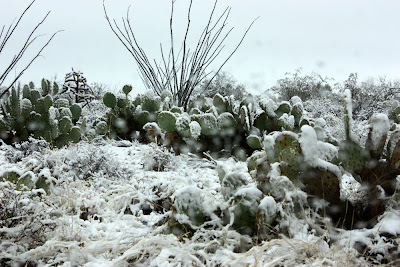 Wild Rose Vintage: Thrift store finds and a little snow on the cacti! Thrift store finds and a little snow on the cacti! Here we go...I'm back at it. I'm getting to know my way around a new town, mainly the thrift shops, flea markets, stuff like that...the important places! 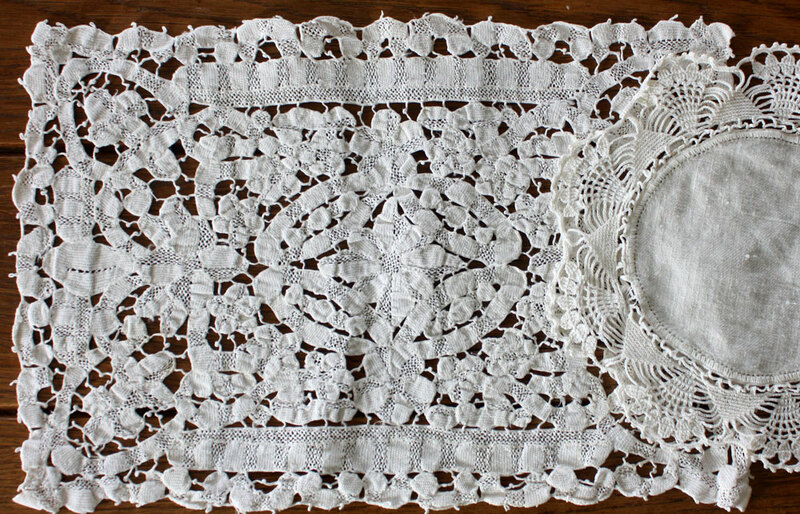 I have no idea what type of lace and if anyone is a lace expert out there I sure would like to know what this is called. A couple of crochet pieces, everything is in great condition, I wonder where they came from and who the woman was that made these, or owned them. What's that? Snow on cactus? We found a steal, and I mean a steal, of a deal on a house on 6 acres in southern Arizona...totally by accident and the way it all happened...I believe it was meant to be. This was a snowy day here and the view to the north from our front porch. 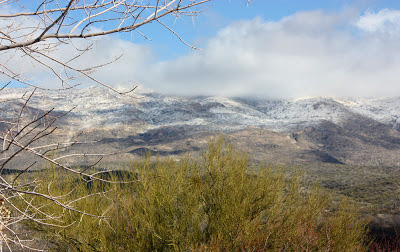 This is part of the Rincon Mountain range, looking at the south end of East Saguaro National Park. 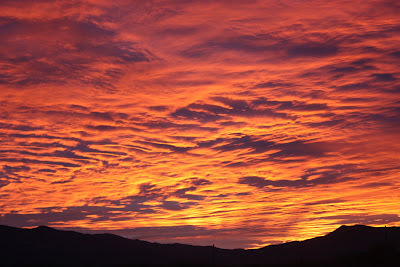 One morning I awoke to this sky! No tweaking here...this is for real. Mr. Wild is back in MN but I'm staying here for a few months and painting, arranging..stuff like that. The house needs a little bit of attention so that is my job. I've met several neighbors, super nice neighbors. The gals have taken me on walks to show me where all the best hiking trails are. I'm trying to make myself get out every day and walk to get back in shape. But enough of the snow already! They are forecasting it again for Wednesday. Otherwise it's sunny and warm, quiet as can be except for the birds during the day and the coyotes at night. (And there are a lot of coyotes...could that be why they named it Coyote Creek?) Poor kitty does not go any further than the porches and only if I am with her. The plan is to decorate on a flea market budget. There was an article in one of the decorating magazines that caught my attention (I wish I could remember which one) the woman never paid over $100 for anything for her home and that is my inspiration. The unknown doily looks a lot like hairpin crochet. 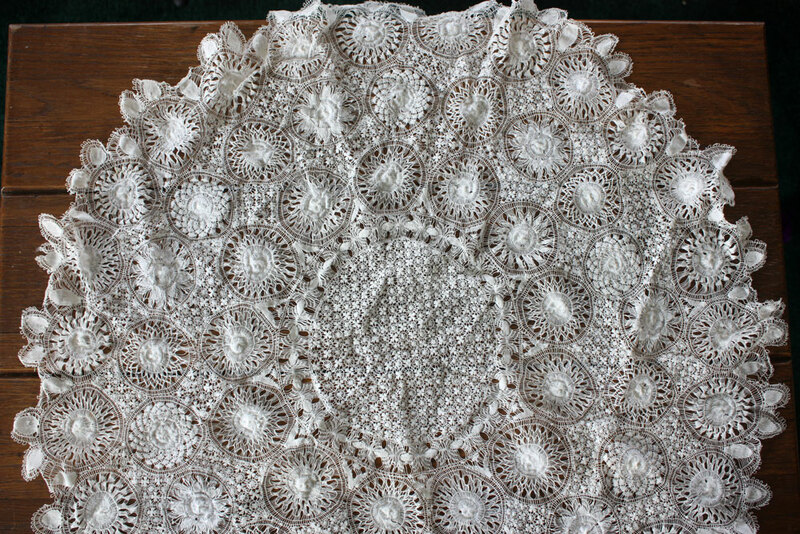 I can't see close enough into the middle to see for sure though, it may even be several techniques. But it was a lovely grab bag! Arizona! Another exciting adventure! We never know what life has in store for us! LOVE your beautiful finds! What a super find! 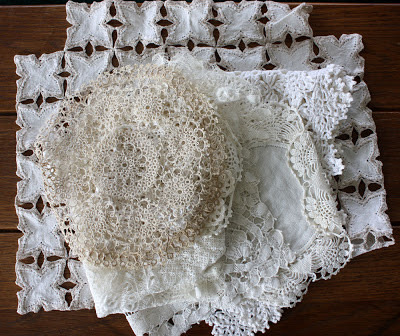 I am mostly decorating my country house with flea market finds and family heritage! It is very satisfying! Your scenery is quite different from mine in Norway! Arizona sounds amazing. and especially if they have good thrift stores. Are you still hanging out at the ranch in Wyoming too? Guess you were meant to live out "there"! Looking forward to seeing inside the bunkhouse. You'll find all you are looking for at the prices you want to pay! Arizona sounds like quite the adventure! 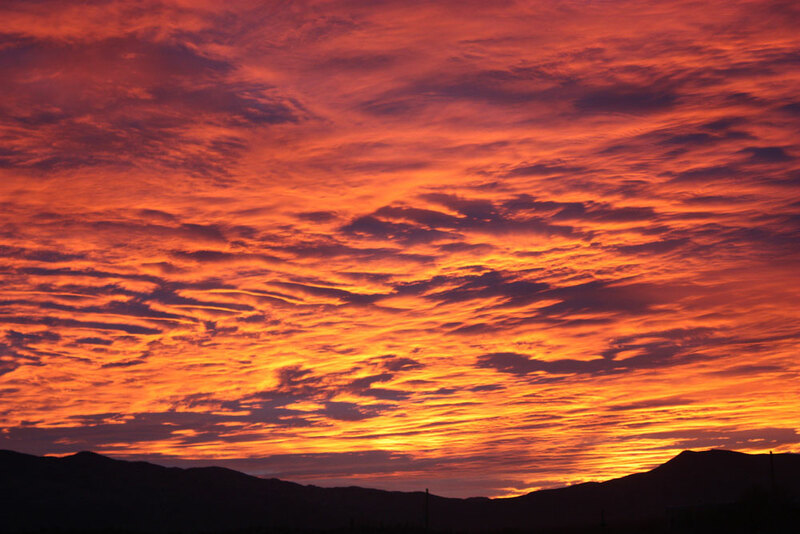 The sunset is amazing. 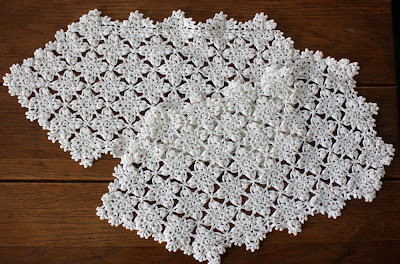 And so are all of your gorgeous crocheted piece. What a deal! 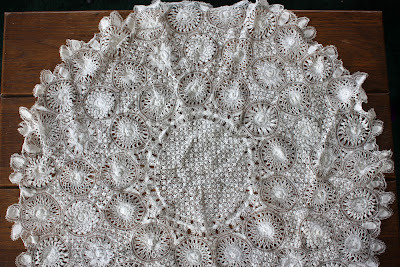 I think that round one looks like tatting. Enjoy! Can't wait to see what you do with flea market finds ~ looks like you've found a little piece of heaven on earth! The pictures of your surroundings are amazing, Faye!! But snow in Arizona? I thought people moved out there to get away from that stuff!! I'm so glad you are finding thrift shops out there. 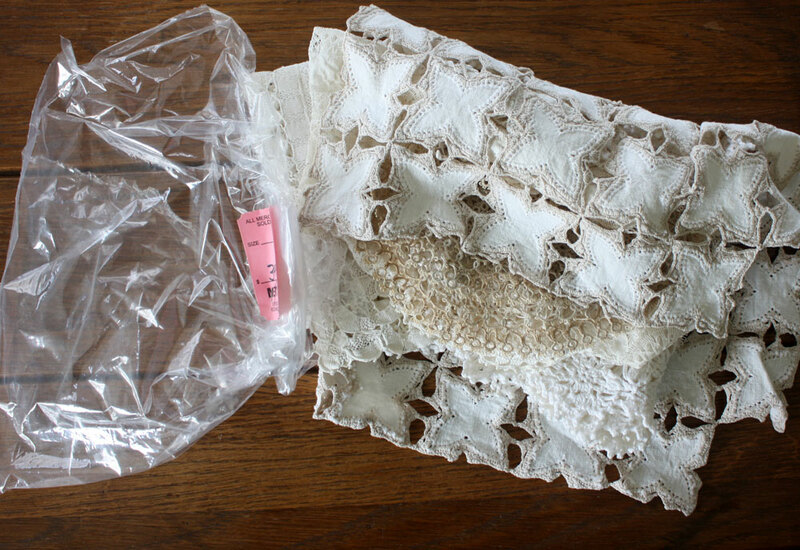 That bag of lace turned out to be a great deal, huh?! You have some beautiful pieces there. Sounds like you found an awesome deal on a house and property. Good for you!! Have fun decorating. Big hugs to you, sweet friend. 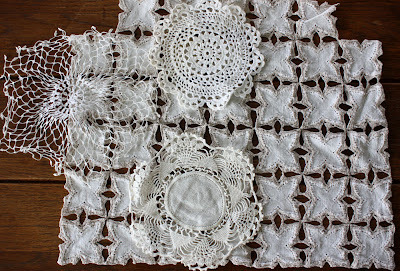 Fabulous finds on the lace, just gorgeous! Can't wait to see your flea market decor. Good luck, I'm sure it will be amazing! Your lace buy was a great deal! 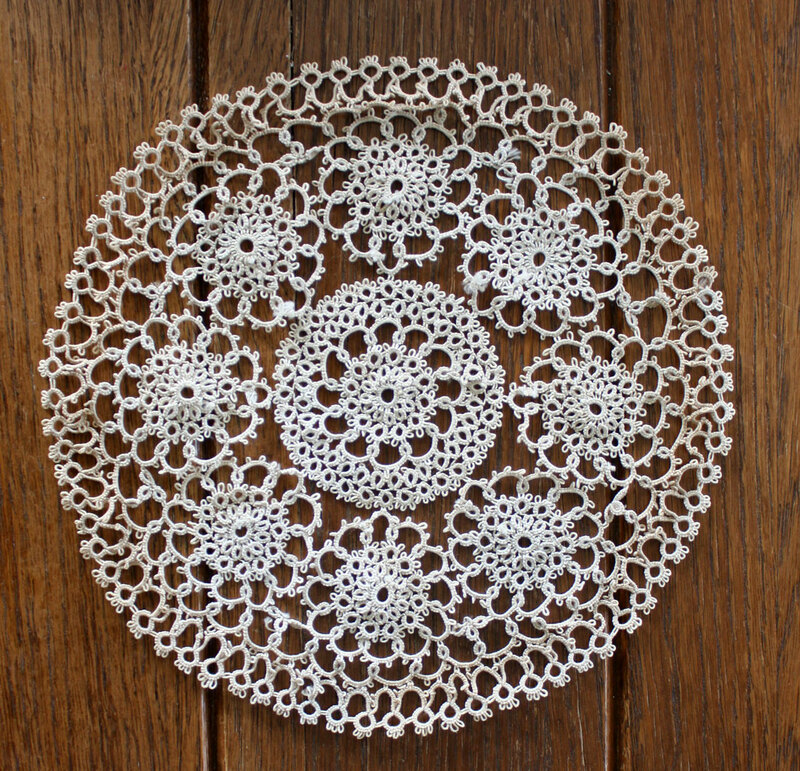 I think that one is hairpin lace. 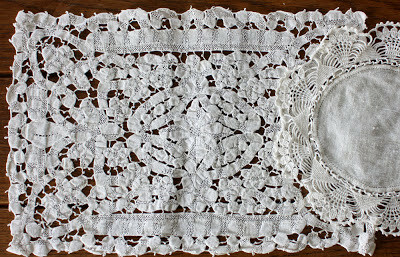 I love old lace and often wonder what kind of story it had behind it. 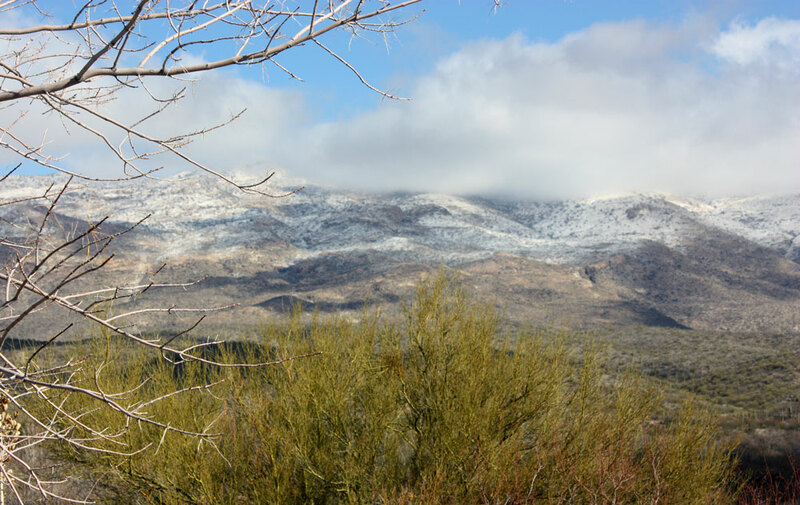 Arizona looks beautiful, but, snow? Enjoy!